Simply fill in this form to book with us today! Simply leave us your name and number and we'll get in touch! Need to make a move? Simply fill in our form to have us contact you about your move today! We are committed to providing you with one of the best Sydney removals experiences right from when you pick up that phone and book, through to placing the last box! Fast Removalist commercial and office relocation staff offer professional relocation services and office moves throughout the Sydney Metro Area. We cover all interstate removals outside Sydney. A well laid out network with our fleet of trucks ensures that every good reaches its destination intact. Have you got just a few pieces of furniture that you need to move across town? One of our professionally trained removalist and his two tonne van will be ideal for your boxes, luggage and a few items. For a slightly heavier move most suited to a small studio or one bedroom apartment. One of our professionally trained removalists and a 4 tonne truck will take care of everything for you. Most suited to your 2-3 bedroom apartment of office moves. Two professionally trained removalists and a 6 – 8 tonne truck will be the most efficient and cost effective to have you moved in no time at all. Best suited to a 3 – 4 bedroom house move and larger office moves. You will be able to get everything packed and moved in one trip with these large trucks. Perfect for your 4 -5 bedroom home move and extra-large office moves. This truck will tackle the largest moves with ease. At FAST Removalist we pride ourselves on knowing and understanding our customer’s needs. We appreciate it is a stressful time and therefore offer a range of services and solutions that take the pressure out of moving. Our service is quality driven. We believe people are our most valuable asset and invest heavily in their ongoing training, ensuring they have the expertise and experience to exceed our customer’s expectations. We offer a wide range of affordable and quality removal services and we pride ourselves in understanding the needs of our customers. Our trained and proficient staff have many years of experience behind them, and are able to visualise and handle any situation that arises from pre-move planning to the event itself. After thousands of successful home, office, school, warehouse and interstate relocations and a portfolio of thousands of satisfied customers, very few removalist companies can truthfully say they are the best choice for your relocation. With one of the largest fleet of trucks in the industry, we are able to tackle the smallest or largest relocation with ease. You Can Get A Removalist Quote Online. Find out why we have the reputation as reliable yet cheap removalists in Sydney by completing an online rapid quote today. 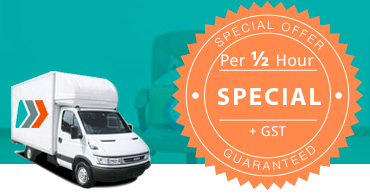 You’ll also discover just how cheap removalists in Sydney can be! We provide you with unbeatable half-hourly rates for reliable and efficient relocation services, completed by our trained relocation professionals. If you are planning to move to a different state, city or neighbourhood, there is the logistic side of things to take care of. It may seem easy to pack up your stuff and go but it can be very stressful if not executed properly. It may also be that you have to make multiple trips in your car, something that is going to leave you exhausted. That is why such tasks are best left to the experts who know what they are doing. For professional Sydney removalists, we at Fast Removalist are the right people to hire. Our expertise is in providing cheap removalist services in the city and that is exactly what we offer you. Whether you want to relocate your house or office, make sure that you hire the right people for the job. They can make all the difference. We have the resources and manpower to make sure that your move is smooth and stress-free. At our firm, we are proud of having been in operation for the past 25 years. All these years in the business have taught us that a lot of people get worried that hiring a professional removalist firm may prove expensive. But that is not something that is true for us. 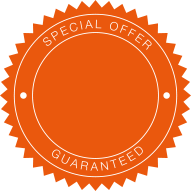 We are extremely affordable and our free online quote will show you how little it is going to cost you to hire us as your removalist. In fact, we are proud of having the unique ability of beating out all our competitors. We offer unbeatable prices and with our impeccable service: you are in a win-win situation. Australia is one of the largest countries in the world and moving to a different state can require a huge amount of resources and logistics. We are the right professionals for the job for the simple reason that our network is exceptionally good. We have a large fleet of vans and trucks on offer and we deploy them with accuracy to make sure that your move is as smooth as it can possibly be. Interstate relocations require quite a bit of pre-move planning, and your Project Manager will do all of it for you as well as oversee the whole operation. With the free high-quality packing materials we provide, our personnel are going to pack all your stuff in a way so that they are not damaged during transit. Our personnel are very careful drivers too and each of them is background-checked to make sure that their reliability is never a concern for our valuable clients. When it comes to relocating your home or office, trusting the dependable experts make a lot of sense. At Fast Removalist, get yourself the professional but cheap removalists in Sydney of choice. Call us at our phone number 1300 669 134 or write to us at info@fastremovalist.com.au today to get in touch with us to book a service request or ask for more information. Why Choose Us As Your Removalist? We have an on-time guarantee. All items packed securely to avoid breakages. Removalists work quickly and efficently. Over 25 years in the Removalists Industry. They were top blokes, they did what they needed to do in a suitable time frame. It was done quickly but also in a pace of making sure all items we’re in good hands without any damages. I’ll definitely recommend to all family & friends. Cheers! The boys arrived in perfect timing, job was great i’m super satisfied with the work, they left my furniture in great condition no damage was caused so happy with the work, they managed to move a 4 bedroom house in perfect timing and no problems caused fats effective service love it! well done guys. View our latest articles and see how you can make the most of your move! Looking to make a move? We've got you covered. Simply call us on 1300 669 134 or click on the following button to organise your move today! Request a callback Book my move!